Even chess world champs have to start somewhere, and they’d still be playing like beginners if they hadn’t mastered the basics! 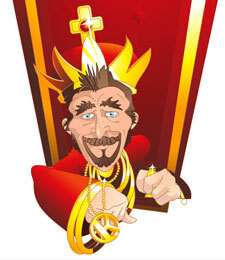 Here you will find out about castling, check and checkmate, how to transform one of your eight wimpy pawns into a powerful queen and much more! Come and get to know the pieces! There are six unique soldiers in your chess army and if you want to play like a champ, you’ll need to get to know your troops and how to maneuver around your 64 square battlefield. 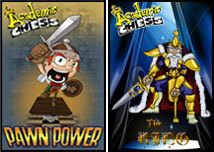 Allow us to introduce you to the pieces the Academic Chess way! World Champion Anatoly Karpov once said that chess is art, science, and sport all in one. These games show that he could not have been more right! These games are the best of the best, and if you study these games enough and you just might find one of your games in our archive some day! Of the millions of people worldwide who navigate the 64 squares, only a few make it into the halls of history. From the natural genius of Paul Morphy to the calculating artistry of the world’s top rated player Magnus Carlsen, you are sure to find a player here who inspires you! Would you like to teach chess?